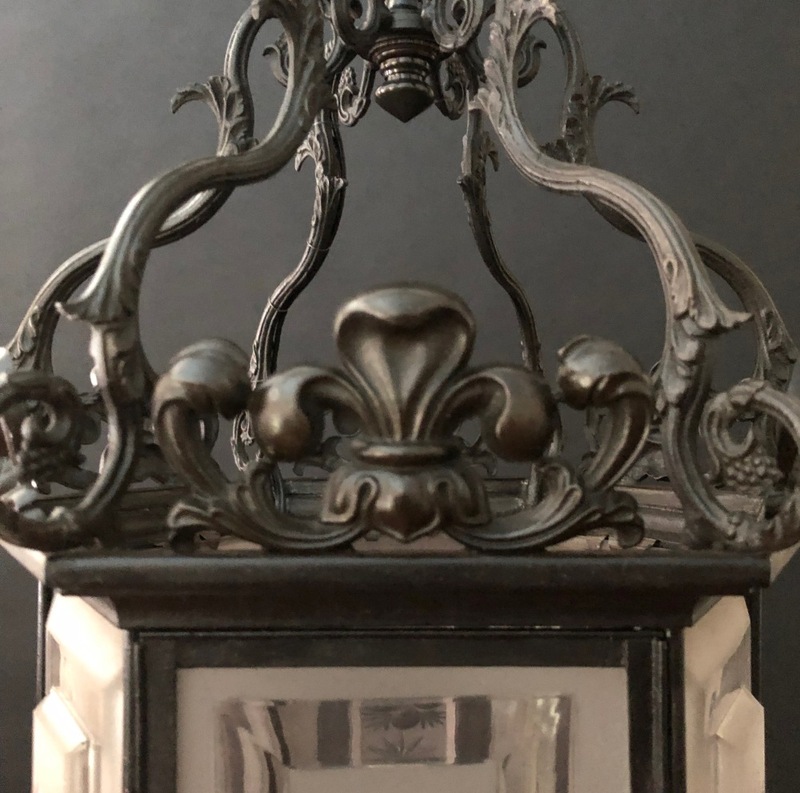 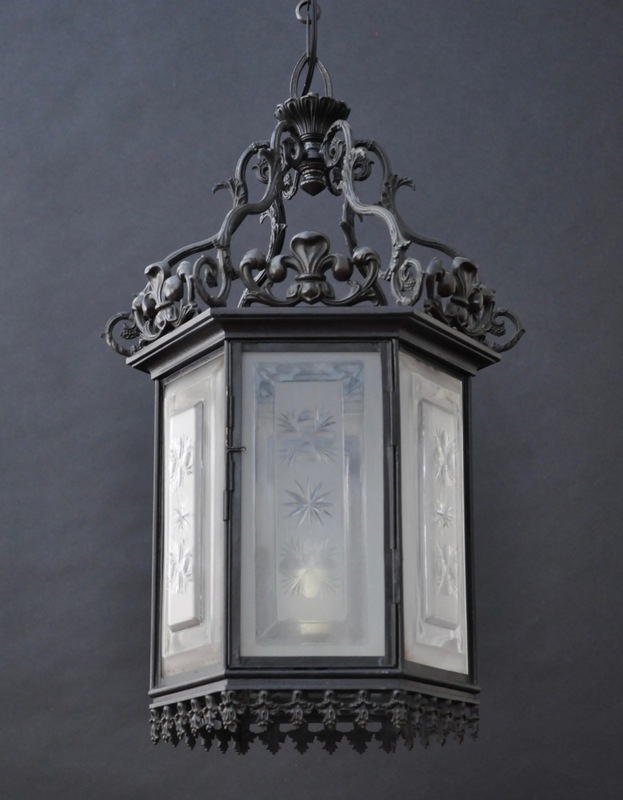 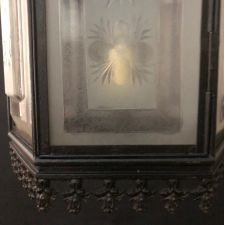 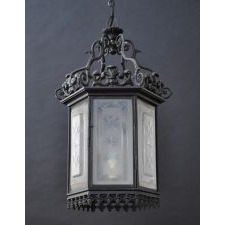 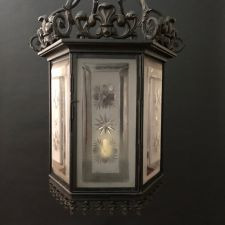 This large hexagonal lantern is presented in a dark patinated and painted finish. 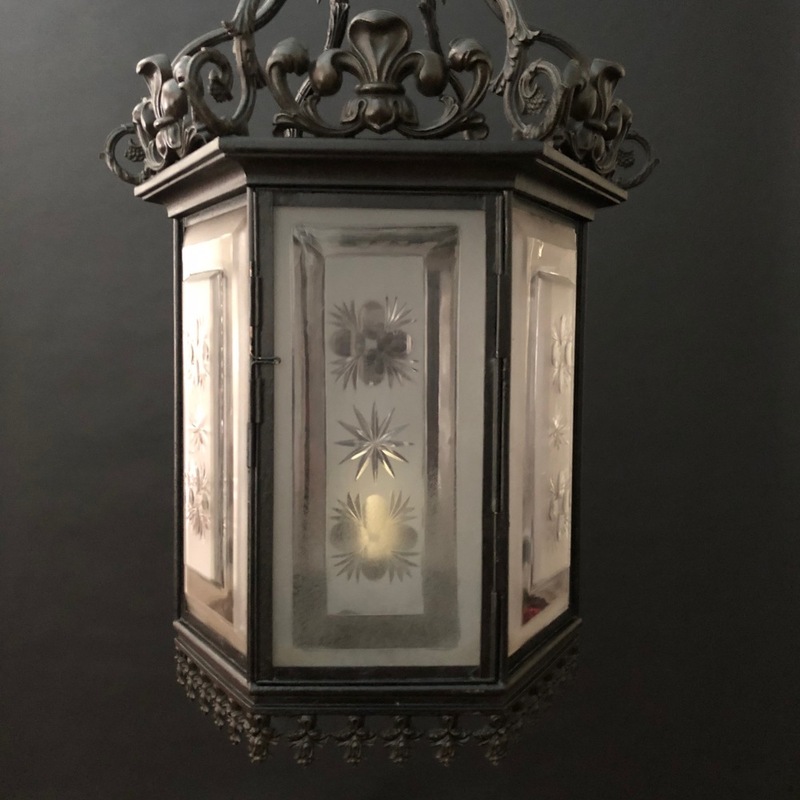 It is suspended from a gothic-shaped hook while the lantern staves are formed as curving vines terminating in tiny grape clusters. 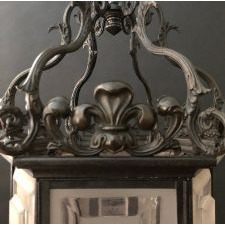 Each side is topped with a large stylized Prince of Wales’s plume and the base is decorated with rows of small cast flowers and leaves. 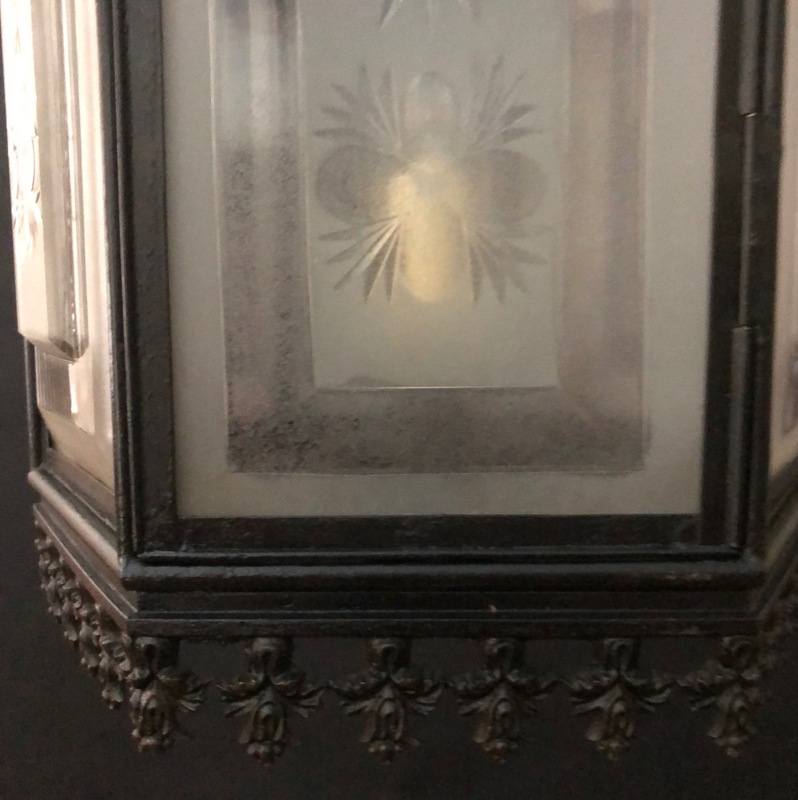 Each pane is composed of a thick beveled, frosted, and cut rectangle of glass.